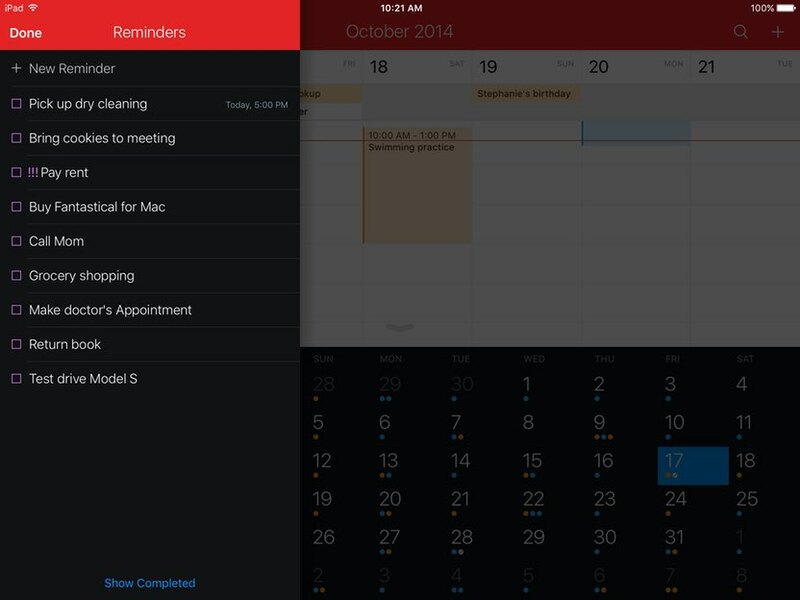 Flexibits | Fantastical 2 for iPad | Calendars and reminders on your iPad, refined. 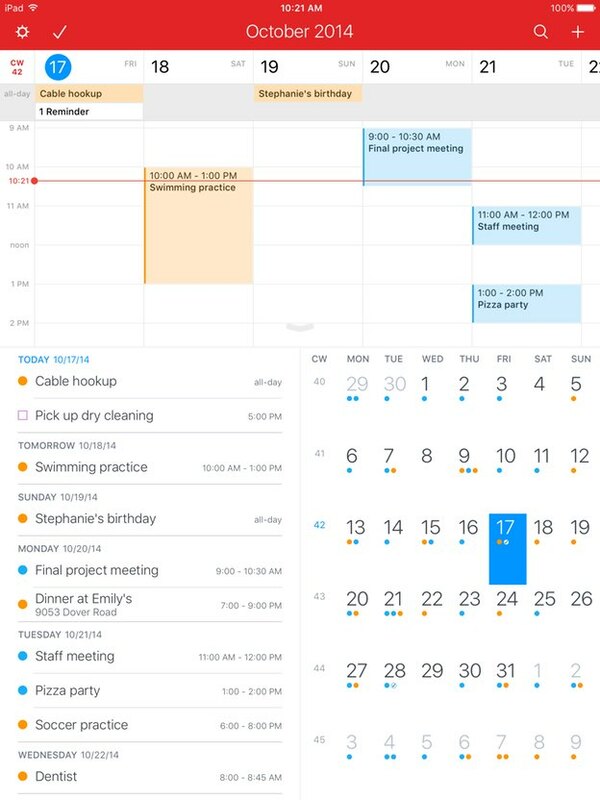 The fast and friendly calendar and reminders app, packed full of features to make you even more productive. Specifically designed for your iPad, the Fantastical Dashboard puts all of your event and reminder info at your fingertips. With a simple gesture, you can toggle between the DayTicker, week view, and full-screen week view. Even better, the DayTicker, week view, calendar, and event list are all connected. 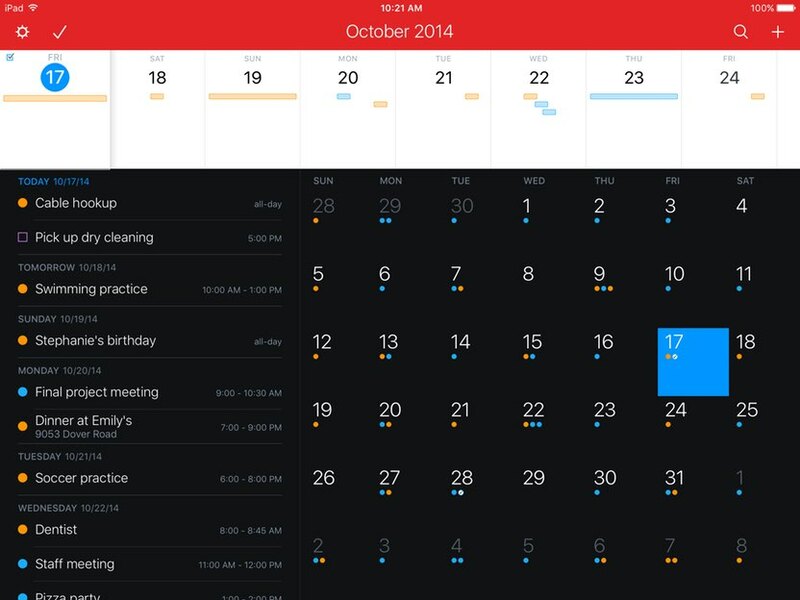 Fantastical lets you manage your events and reminders like never before. Fantastical's natural language engine is expressive and intelligent so you can write in your own style. Fantastical recognizes holidays, days of the week, the location of your event, repeating events, and more! If your device supports dictation, you can also speak the details of your event or reminder and Fantastical will automatically interpret your speech. Whether you prefer portrait or landscape, the Fantastical Dashboard looks as beautiful as you'd expect. Plus, Fantastical works with the same calendar accounts already set up with the built-in iOS Calendar app: iCloud, Google Calendar, Office 365, Exchange, Yahoo, and more! Just download Fantastical on the App Store, launch it, and you're good to go. Light or dark mode? Yes. Prefer dark text on a light background? Fantastical has you covered with an optional light theme. 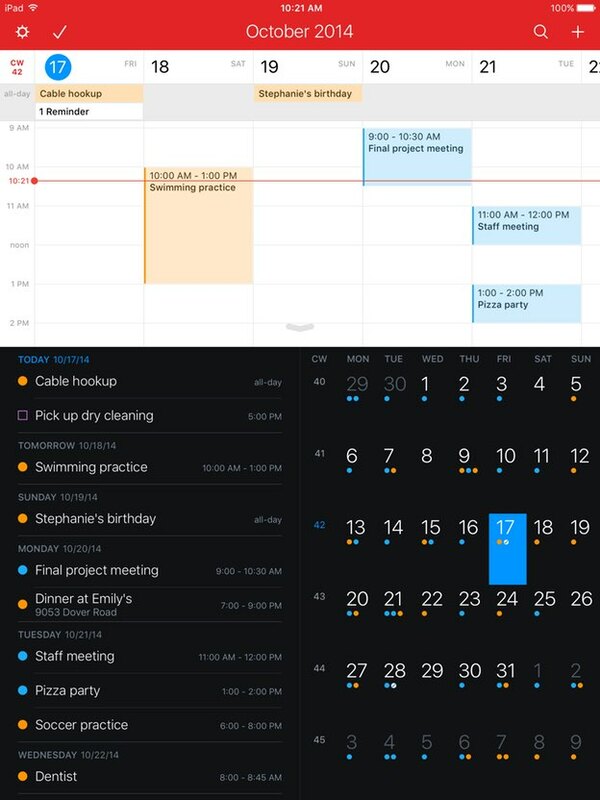 Fantastical 2 for iPad includes powerful iOS reminders integration, making it even easier to manage your reminders alongside your schedule. You can even set time and geofence alerts for your reminders, keeping you more productive than ever. Tap the search button to instantly locate your events past, present, and future. You can even focus your search on title, location, or invitees. And just like the event list, tap an item to display its details. 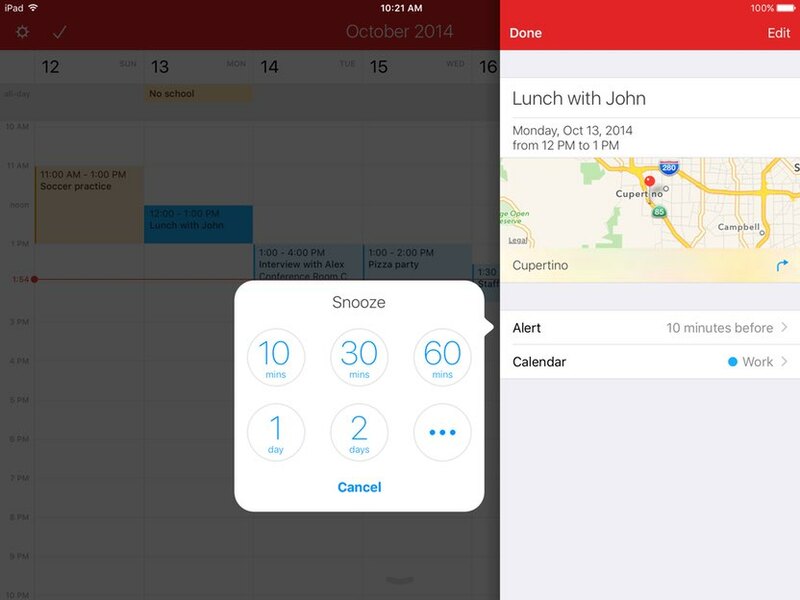 Fantastical's Today widget ensures that your schedule is never far away. Swipe down to reveal Notification Center and browse your schedule without interrupting what you were doing. 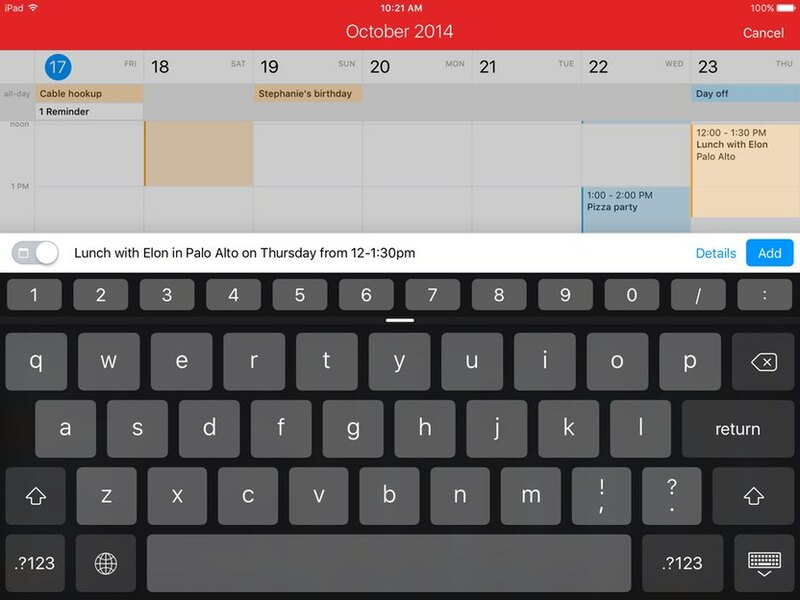 The Fantastical app extension makes it simple to create events or reminders. Activate Fantastical quickly from an app that supports sharing, such as Safari, and you'll immediately create a new event without having to leave the app that you were in. Fantastical makes it easy to duplicate, move, and share your events, manage your invitations, go to a specific date, add multiple alerts, snooze alerts, and much more. Fantastical supports interactive notifications, so you can swipe or pull down on a notification to quickly snooze an alert or complete a reminder. You can even delete or edit with ease: just swipe an event or reminder in the list and tap Delete or Edit. For those who just want to get in, get out, and get stuff done, I strongly recommend Fantastical 2 for iPad. 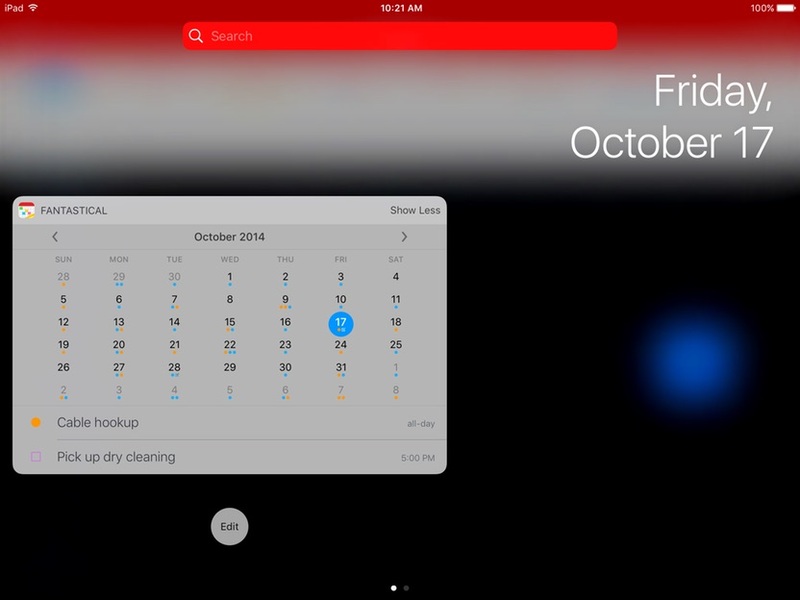 … Fantastical is an app I can recommend to anyone who wants to leverage their iPad as a better calendar. All the beauty of Fantastical, but now for the iPad. I use it for the Mac and iOS—I […] love it. 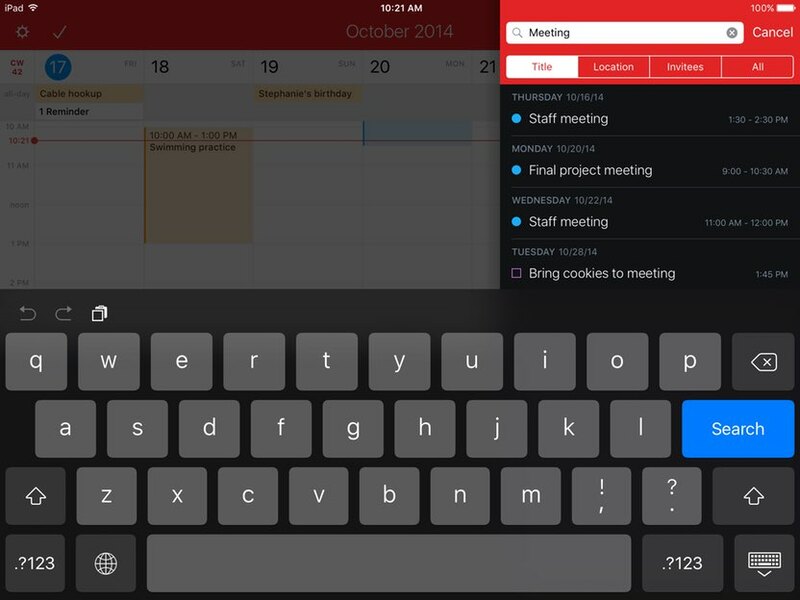 … Fantastical 2 for iPad … refuses to abide by conventional notions of how a calendar should look. It's very nice to see the iPad get in on the action, especially with such a nice iteration of the app. Fantastical is also available for your Mac, iPhone, and Apple Watch, as separate apps which all sync seamlessly. Bring sanity to your schedule.